Gary was a Governor at Rowdown from 2011 to 2014, acting as Chair of Governors from September 2012. 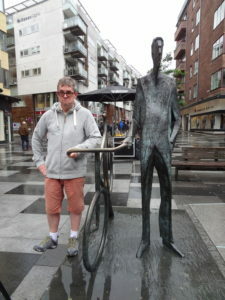 His background is in Corporate Finance – he hates to be classed as an evil banker – in the City of London, leaving in 2009 at the time he lost his wife, Nicola, to breast cancer. Since then he has been working with charities and supporting a philanthropic resort development in South Africa as well as spending a lot of time at the school. Before joining Rowdown as a Governor, Gary’s last experience of primary schools was when he left his primary school in the 1970s. He doesn’t have children of his own, so he’s been on a steep learning curve over the last few years. However, he has seen – from a comfortable distance – the children of his friends and family go through school and the advantages many had through extra parental support in academic subjects or music, art, sport etc. So his drive is to replicate that where the parents are unable to offer such support. Hence the Foundation. 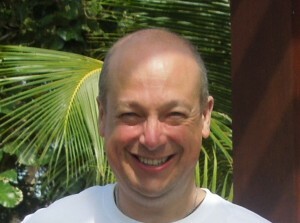 Gary enjoys travelling (the photo is from a recent holiday in Sri Lanka with the Parsons) and is lucky to have visited many and varied places as the photos around his house prove. He is also a wine enthusiast and has a qualification in wines which has given him the opportunity to host several wine tastings to raise money for charity. He is an active supporter of Breast Cancer Now (previously Breakthrough Breast Cancer), setting up a tribute fund in memory of Nicola. Gary is also a Trustee of the South East Cancer Help Centre, where he has the unenviable task of overseeing Community Fundraising. 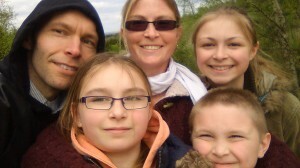 Gary now shares his life very happily, if sometimes a bit stressfully, with his fiancee, Cristina and her two children, Luke (9) and Mia (7). Mel is a member of the Senior Leadership Team at the school, responsible, among other things, for Early Years, Key Stage 1 and the Able and Talented pupils at the school. Mel also teaches the Nursery class daily. She knows a very high proportion of the pupils – and their parents – at the school and is well placed to be in the front line for the Foundation. Mel is very excited about the Foundation and what it can do for Rowdown’s pupils. Janet has agreed to carry on as Treasurer despite her life being in turmoil following the passing of her husband, Dave, our Deputy Chair. 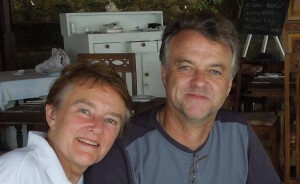 Janet and Dave have been friends of Gary’s for over 20 years having met on holiday in Kenya. Their involvement in the Foundation was a pre-requisite of it happening as Gary needed someone to keep him on the straight and narrow, which Janet will continue to do. Janet spent many years in retail banking in various roles, most latterly on the Personnel side and also completing an MBA, which makes her the ideal Treasurer for the Foundation. Janet and Dave didn’t have any children of their own but have spent lots of time with their extended families watching over their nieces, nephews and cousins and being a positive (usually) influence on them. Dave’s involvement with the charity and his ability to say what he thinks without offending anyone will be sorely missed. Marion has worked as a Teaching Assistant at Rowdown for over 20 years working across all the key stages, retiring at the end of the 2017 academic year. She has lived in New Addington all her life, bringing up her family in the area. All three of her sons attended Rowdown School and gone on to careers in recruitment, stockbroking and the police. Marion spends most of her spare time doing a vast number of things for the local community, is heavily involved in the New Addington Pathfinders and plays a significant part in the organising of the New Addington Carnival every year. Knowing the vast majority of pupils and parents and what is on offer in the local community makes Marion’s involvement in the Foundation very important. We are pleased to have her signed up despite all her other time commitments. Kathryn is Gary’s sister-in-law, Nicola’s younger sister. She gained a degree from Cambridge University before gaining a doctorate at Oxford University studying some form of biochemistry that we won’t try to describe here. She is married with two children: Dan (22, currently at uni) and Annabel (20, taking a year out before heading off to Oxford University) and they live in Royston, Hertfordshire. Kathryn qualified as a teacher but now spends most of her time doing things for worthy causes including a Governor role at the local secondary school where she is responsible for disadvantaged pupils. She is also Chair of the Advisory Board to two children’s centres in Cambridgeshire primarily targeting underprivileged children in order that they may achieve; this experience is directly relevant and valuable to the Foundation. Paula is an old friend of Gary and Nicola’s having started working at the National Audit Office on the same day as Nicola. Paula left the NAO to concentrate on raising her three children and has since trained as a primary school teacher and now teaches Early Years pupils at a school in Wimbledon where many of the state schools have a high proportion of disadvantaged pupils. Sarah was a Parent Governor at Rowdown for seven years or so. Her association with the school dates back to 2003 when her eldest daughter, Bethany, started her school life at Rowdown. Bethany was followed by Becky, and then Joshua who have now both finished at Rowdown. Sarah has been an active supporter at Rowdown recognising the school’s added value in both academic and extra-curricular activities. She gets involved in many of the things going on especially helping to organise the school fairs. Sarah is often seen at the school with her posse of children: she works as a childminder collecting several children after school and managing to keep them together and well-behaved. She has lived in New Addington for 18 years. Her twitter page says she is a “mad mum of 3 kids. love nkotb (especially Jordan Knight), bon jovi, linkin park, matt goss, robbie williams to name but a few.” For those not so initiated, “nkotb” = New Kids on the Block. Sarah is very happy to be asked questions about the Foundation by pupils and parents. Jill also started at the NAO on the same day as Nicola and Paula, but has stayed the course at the taxpayer’s financial watchdog where she now specialises in human resources. 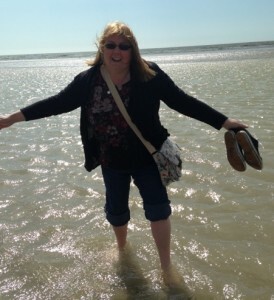 Jill hails from Liverpool – no jokes about being a Scouser – and has two daughters of 22 and 20, both at university. She has been a school governor at an infant school in an area of high deprivation with a large proportion of pupils with special needs. The main difficulty in her life is being married to Gary’s ‘best man’, Paul. Martin is a new addition to our Board of Trustees and it is very fitting that he should join us (August 2017) as the whole Foundation thing is, indirectly, his fault. Martin was a teacher at Rowdown until a couple of years ago and it was he who suggested to the school that Gary could be the Governor of their dreams. OK, he was mistaken in that aspect, but if Gary hadn’t become involved with the school as a Governor, the idea of the Foundation would never have occurred to him. So well done Martin. Martin and Gary have known each other for 25+ years, since their cricket-playing days (nothing grand, just the Purley IV team). Martin was a teacher at Rowdown for numerous years and prided himself on his ability to nurture and encourage all of his pupils. He was one of the most highly regarded members of staff by pupils, parents and his colleagues. Despite leaving a couple of years ago, he has kept in touch with many of his ex-colleagues so will be a valuable addition in encouraging them to put candidates forward for Foundation support. He is also a little whacky as his chosen photograph shows.